Upper Age Limit : 30 yrs as on 24.06.2014. Two yrs full time MBA(F)/ICWA/CA. 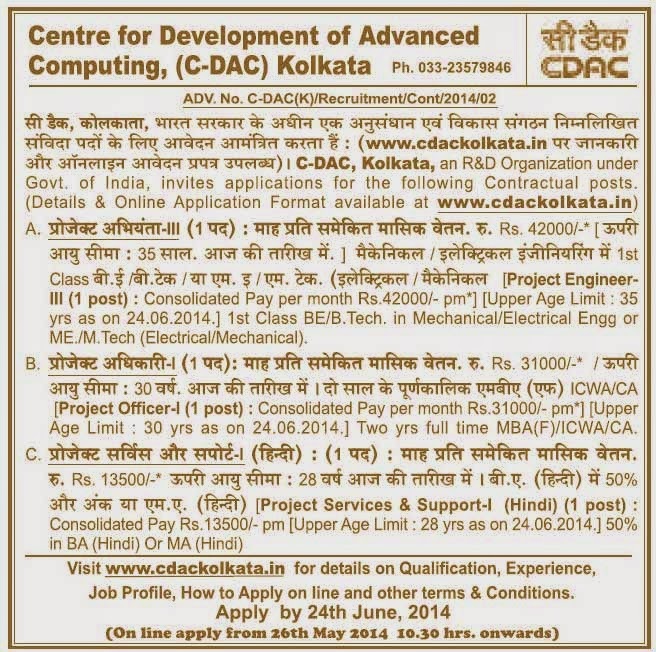 Visit www.cdackolkata.in for details on Qualification, Experience, Job Profile, How to Apply on line and other terms & Conditions.